Pilots and those in the aviation profession learn a special type of alphabet: the aviation alphabet. This is the alphabet used by pilots, air traffic controllers, and the military, among others, to correctly issue instructions. The International Civil Aviation Organization created the International Radiotelephony Spelling Alphabet, tied to the English alphabet, to ensure that letters are properly pronounced and understood by air traffic controllers and pilots around the world, despite what languages are spoken. The ICAO alphabet (as it's called for short) is used to avoid mistakes caused by letters and numbers that sound similar. Some letters—M and N, B and D—are easy to mistake for each other. 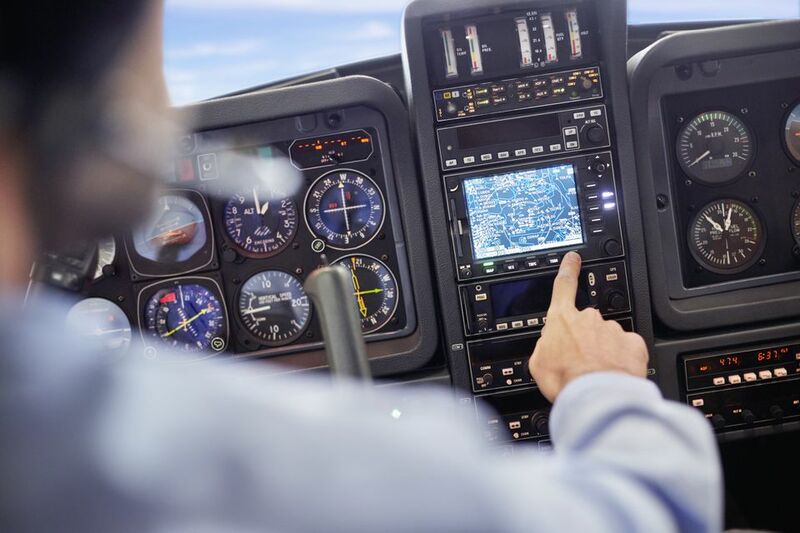 That can be exacerbated if there is static or interference when communicating between the cockpit and the tower. As an example, every aircraft has a tail number, like N719BW. When a pilot speaks with air traffic control or ground control, that plane would be identified as "November Seven One Niner Bravo Whiskey." After the aviation organization created the phonetic alphabet in the 1950s, it was adopted by the North Atlantic Treaty Organization, the International Telecommunication Union, the International Maritime Organization, the Federal Aviation Administration, the Alliance for Telecommunications Industry Solutions, and the International Amateur Radio Union. Because the alphabet has been adopted by so many organizations, you'll also see the alphabet termed "The NATO phonetic alphabet" and there is a variation known he "ITU phonetic alphabet and figure code." But if you learn the alphabet explained here, you'll be communicating successfully via radio or telephone in terms accepted worldwide. There are a few variations in this alphabet. Outside of North America, some pilots use the non-English spellings Alfa (instead of Alpha) and Juliett (instead of Juliet). This is because speakers of languages other than English and French may not know that "ph" is pronounced like the letter "f." With Juliett, the extra T is added because French speakers know that the single letter T is silent. ICAO offers recordings and posters that help users properly pronounce the numbers and letters. Only 11 of the 26 letters—Bravo, Ernest, Hotel, Juliet(t), Kilo, Mike, Papa, Quebec, Romeo, Whiskey, and Zulu—are given English pronunciations by the agencies listed above, although it's not necessarily the same pronunciations. The ICAO also offers guidance on pronouncing numbers. Of course, non-military or those not in the aviation business are familiar with the alphabet through watching aviation and military shows on television. In the movie, Whiskey Tango Foxtrot, Tina Fey stars as a journalist who travels overseas to Pakistan and Afghanistan to cover the war. It's easy to understand why the phonetic title was chosen over the original title, The Taliban Shuffle. "WTF," is a common Internet slang expression and may be exactly what the journalist would have said upon finding herself in an unfamiliar, war-torn land.